On Friday, October 13, Ottumwa Mayor Lazio recognized the Great Prairie AEA and Iowa Educational Services for the Blind and Visually Impaired partnership, as part of a White Cane Day Celebration. Area students, parents, and teachers from Ottumwa, Cardinal, Burlington, Fairfield, Oskaloosa, & Eddyville Blakesburg Fremont participated in fun activities to create awareness of White Cane Day on October 15. White Cane Safety Day is a national observance in the United States, celebrated on October 15 of each year since 1964. The date is set aside to celebrate the achievements of people who are blind or visually impaired and the important symbol of blindness and tool of independence, the white cane. Inside Sarah Maher’s 3rd, 4th, & 5th Grade Autism classroom at Corse Elementary in Burlington, students experience a colorful rich environment where they have the freedom to learn and experience success daily. Learn more about supports and services from GPAEA at http://www.gpaea.org/en/services/autism/. Iowa’s SDI program works for learners of all kinds by focusing on literacy in five strands of work: Pre-K, K-6, Learners with Significant Disabilities, Assistive Technology, Family School Partnerships. The framework is the result of multiple years of work from the Area Education Agency Directors of Special Education, the Iowa Department of Education, and 150 other members of the Iowa educational system. “We’ve had a lot of support from the AEA throughout the SDI project.” Great Prairie AEA staff provide large group professional development to teachers of students with IEPs in Grades 3-5, as well as on-site support which includes demonstration of lessons, observation of teachers, coaching, data collection and data analysis of Universal Screening, Progress Monitoring, and Iowa Assessments. Also, thank you to Lindsay Miller and North Mahaska for your leadership and all that you do to help students achieve. GPAEA Instructional Technology Specialist Lisa Jacobs collaborated with Ottumwa Math Teacher Brooke Gevock to create a Geometry Breakout for a group of 9th and 10th graders. In Breakout games, players work collaboratively to solve a series of critical thinking puzzles in order to open a locked box. Students appreciated the fact that they used multiple resources to solve the clues and that team member was able to contribute and participate. Learn more at breakoutedu.com or www.breakoutedu.com/digital contact Lisa Jacobs at lisa.jacobs@gpaea.org. Stock Photo. No photo available of Wendy. Wendy is a third grader at Davis County Elementary school in Bloomfield Iowa. Wendy is Amish. She has Cerebral Palsy (CP) and is in a wheelchair. Cerebral Palsy is a disorder of movement, muscle tone or posture that is caused by damage that occurs to the immature, developing brain, most often before birth (Mayo Clinic, 2016). Wendy is using a clock communicator where words are attached and Wendy can choose a word using the Gooseneck wobble switch. The Davis County team completed the SETT (student, environment, tasks, & tools) form. Next, they did a trial with the the clock communicator and gooseneck wobble switch by borrowing the items from the AEA Media Center. The team took data and determined the items were a good fit for Wendy. After documenting the assistive technology items for Wendy on the IEP (individualized education plan) on tab B and tab F (AT IEP Guidance from the procedures manual ), the Davis County School District purchased two clock communicators and one wobble switch for her. One clock communicator stays downstairs in the special education setting and the other stays upstairs in the general education setting. Wendy uses both her hand and her head to activate the wobble switch. She decides which works best for her when she is using the clock communicator and wobble switch. Wendy is also using the Alternative pencil. Her special education teacher uses this resource to complete the requirements for ELI (Early Literacy Implementation). Wendy needed a tool with access to all twenty-six letters of the alphabet and for alternate assessment. The Alternative pencil assists Wendy to have access to the letters to begin spelling and writing words. She can identify her written name and knows all of her letters and letter sounds. What was she doing before? Wendy was using an informal eye gaze with two choices before trying new assistive technology tools. Her paraeducator and teachers held up two cards and she would make a choice with her eyes. The team notes this method was faster than waiting for her to activate her switch. When she uses the switch Wendy is more motivated, independent, and has more than two choices. Only having two choices limited Wendy academically and with her peers. Now Wendy can sequence, make more than one choice at a time, participate, and interact with her peers. Wendy has demonstrated her assistive technology tools for her classmates so they know how to communicate with her. Thank you to Wendy’s dedicated team! “She’s walked herself right out of physical therapy!” exclaims Janet Hurt, Physical Therapist for Great Prairie AEA. Now 18 months old, Skyler has received Physical Therapy Services from Great Prairie AEA since she was 7 months. Doctors feared the twin wouldn’t live past birth, but her spirit proved everyone wrong. Skyler’s parents Lindsey and Charlie made numerous trips to the University of Iowa for consultation. “We went to the University at 18 weeks [of pregnancy] and the first thing they told us was that she probably had down syndrome and she was so small she probably wouldn’t live to birth,” Lindsey explained. “A month later we came back for a checkup ultrasound and they said well, we’re sorry to tell you but, we don’t think it is down syndrome, we think that most likely it is triploidy, which is not compatible with life.” Determined to carry to term, Lindsey said that at 34 weeks and 2 days after a checkup she was induced because Skyler’s umbilical cord was failing. “After delivery they said, oh, she looks just fine, we don’t need to do genetic testing.” The parents insisted and the results came back totally normal. Click here to learn more about Physical Therapy Services from Great Prairie AEA. Thank you to Lindsey and Charlie for allowing us to share Skyler’s story and a very special thank you to Janet Hurt and the entire Physical Therapy team at Great Prairie AEA for all that you do for area children and families. At its annual convention in November, The Iowa Association of School Board launched a new statewide campaign, The Promise of Iowa. This campaign strives to focus attention on the future of Iowa public school students and rally support for public education in Iowa. Iowa’s future leaders and innovators are its children. 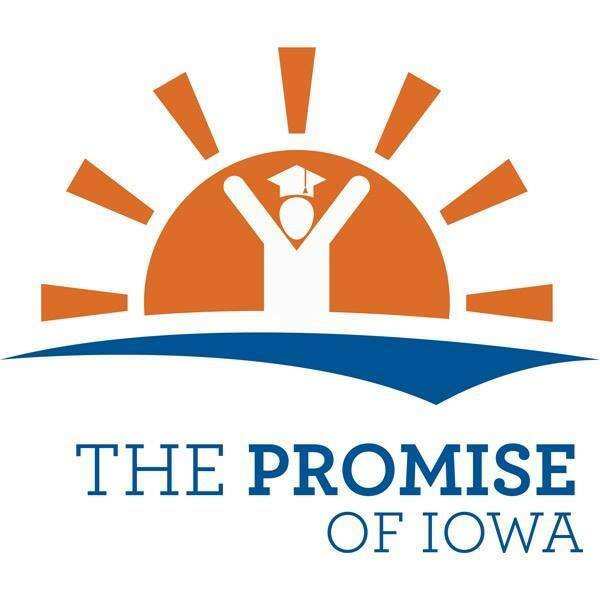 They are “The Promise of Iowa.” Learn more at http://www.promiseiowa.org/. Zeke will be in third grade this year at New London Elementary and has been using different assistive technology devices since receiving early access services in the birth to three setting. An eight person team works together to assess Zeke’s needs and update his Individualized Education Plan (IEP) and last year they began to see progress with the devices that they had been trialing. The New London district recently purchased a new Rifton dynamic pacer gait trainer with multi-positioning capabilities for his classroom work. He also uses talking brix to communicate yes/no messages; activated with his hands or head with the assistance of a support staff member. When the team first met and considered Zeke’s needs and access to the curriculum, they wanted to experiment with additional assistive technology items borrowed from Great Prairie AEA. After the trial and reviewing data, the school district purchased the Gooseneck Wobble switch and a Big Mack Switch. In the video, Zeke is using a Big Mack single message recordable switch. He is telling Ashley to turn the page by activating the switch with his hand. This switch was incorporated into Zeke’s weekly reading probes for him to respond to questions in the classroom setting. The New London district team has incorporated assistive technology beyond the classroom into his everyday activities with his peers. Zeke used a Gooseneck Wobble Switch to participate in the second grade Winter concert. He activated the switch to introduce a song during the concert. He had the support of his teacher and paraeducator to setup and ensure his assistive technology items were ready for the concert. Before Zeke was dependent on adults to determine his wants and needs. Now he is able to communicate using switches in a supported environment with his team. Congratulations Sixth Grade Math Bee Winners! The Great Prairie AEA Sixth Grade Math Bee was held on May 3, 2016 at the Fairfield Arts and Convention Center. Twenty-one schools districts sent a total of fifty teams of sixths graders to participate in the event. There was a tie for second place that we couldn’t seem to break so we awarded two second places. Celebrate Better Hearing & Speech Month! May is “Better Hearing and Speech Month” and we invite you to learn more about services and supports available from Great Prairie AEA. Hearing services at Great Prairie AEA include screenings for young children and direct services for students who have been identified as deaf or hard of hearing. Learn more at http://goo.gl/4bnNxK. Shoutout to GPAEA’s Hearing/Audiology Team! Thank you for all that you do for the children and families of southeast Iowa. Great Prairie AEA Speech-Language Pathologists (SLPs) work with children, birth to 21, who have a variety of communication needs. Most of these needs fall into the areas of articulation, language, voice, fluency, and early literacy. Learn more at http://goo.gl/cKPW33. Shoutout to GPAEA’s Speech-Language Team! Thank you for all that you do for the children and families of southeast Iowa. A trivia contest? Well, sort of. These questions were a part of the Iowa High School Battle of the Books contest, which is sponsored annually by two Marshalltown, Iowa high school educators, teacher librarian Sue Inhelder, and TAG teacher Susan Fritzell. For the first time ever, Keokuk High School sponsored a team who participated in this contest. A preliminary online battle, which was a multiple choice and author name test, determined the top 16 teams in the state, who then travelled to Marshalltown, Iowa on April 26 to compete in a quiz-bowl type contest. “We had never done this before, and honestly didn’t expect to make it to the finals, so we were really excited to find out we made the top 16 for the final battle!” commented sponsor Barb Edler. Keokuk’s good showing has energized the team for next year’s “battle.” The team met regularly during this school year to discuss their books, and started strategizing on the way home from Marshalltown about next year. The 2017 list is already out, and in their hands! High schools can have more than one team, and teams can have up to 6 members, so anyone interested in participating in this fun reading event should contact Mrs. Edler or Mrs. Marsot at the high school. More information about the IHSBOB is available at the official website. DES MOINES – Fifty-three schools were honored by the Iowa Department of Education Tuesday for their work implementing a process that promotes good behavior at school which, in turn, creates a more vibrant learning environment. Positive Behavioral Interventions and Supports, or PBIS, involves a series of processes that promote a school-wide culture of positive behavior. This is done through educating teachers on how to teach expected behaviors to their students. PBIS also consistently acknowledges good behavior as well as applies consequences for violations. Data are used to assess problem areas and behaviors within each school, and strategies are developed to counter them. Schools were honored by the Department for outstanding implementation of the systems and practices of PBIS. Learn more about PBIS at Great Prairie AEA. MARCH 8 – Brittany Stober’s special education class from Ottumwa High School was one of the first student groups to utilize the 21st Century Classroom (Room21C) in the Ottumwa office. The students participated using technologies in Room21C with AEA and Ottumwa High School staff. During the planning phases before the students arrived the AEA staff focused on the 4C’s: communication, collaboration, creativity, and critical thinking. The Iowa Core Standards were used as the activities were developed for the students with an emphasis on literacy. The All Turn It Spinner with a switch was used to get into groups. One of the activities used the Spheros demonstration set (available for checkout) and the iPad app draw and drive. The writing activity was to write a sentence about the tech room on the wall as well as type a sentence on the laptop using a key guard. The students read a book on the TarHeel Reader site using a switch interface to turn the pages of the book on the screen. If you are interested in using the Room21C with your students contact Lisa Jacobs. All of the items used during the lesson are available for checkout through the AEA Media Center. Thank you to the AEA and Ottumwa High School staff! Fairfield Middle School: How Much Will We Read, How Far Will We Go? During the month of March, students and staff at the Fairfield Middle School set a goal to read around the school in honor of Dr. Seuss’s birthday. Beginning March 1, every time someone completed a book, a book slip was filled out and hung along the hallway. The goal was to read enough books to reach the end of the hallway. When we accomplished that goal in only one week, we realized that we could set a much higher goal – to read completely around our building. Students and staff took this goal to heart. By the end of the month, we had collectively read 1,696 books!! The best part was that we exactly made it around the school and ended right where we began. We DID read around FMS! How much did we read, how far did we go? The students and staff of FMS read 1,696 books that reached all the way around the school during the month of March, 2016! Last week at the Iowa School Public Relations Assocation (ISPRA) Conference, Jennifer Woodley accepted an award for the 2015 video, This is Eli. The video accompanied an article in last year’s The Cornerstone. 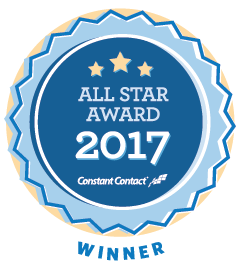 Since April is Autism Awareness Month, it is a great honor to receive recognition for this video and article. GPAEA’s Battle of the Books a Success!